Bordighera, known as the City of Palms, stands as a bright jewel in the Italian Riviera crown. Resplendent with palms lining its stately avenues, Bordighera’s local flora offerings are transported every year to a variety of churches throughout the land to be used on Palm Sunday. Home at one time to the artist Claude Monet, the town was also very popular in the early 20th century with affluent British retirees, and their influence can still be seen in the magnificent buildings that remain. 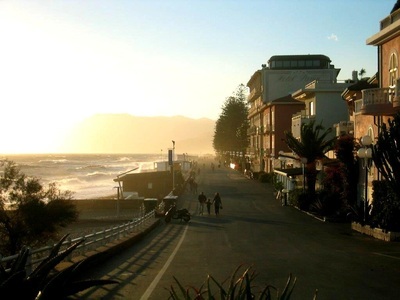 Nowadays Bordighera, with its guaranteed comfortable climate, offers something for every holidaymaker, with its choice of lively beaches and promenades, coffee shops, scrumptious ice creams, restaurants in both the old and new town and chic, stylish boutiques. 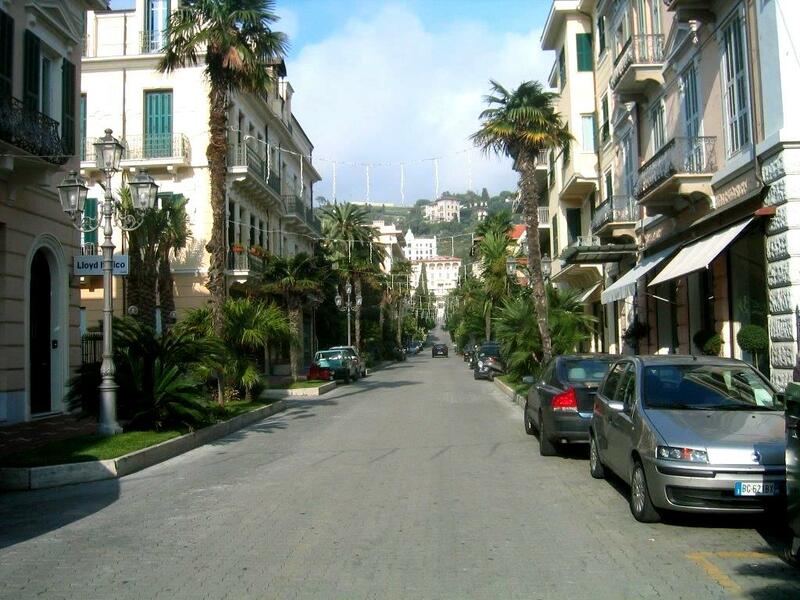 Bordighera certainly likes its shopping and street markets. 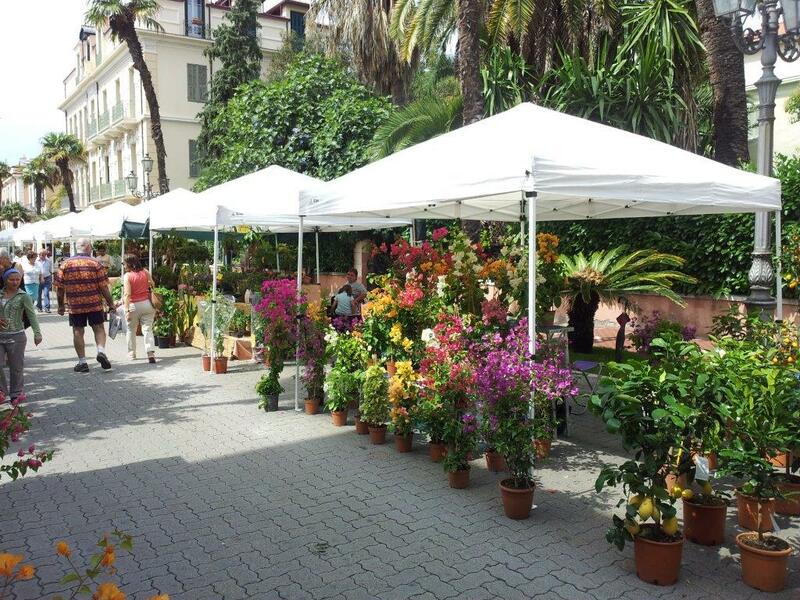 Every Thursday the town hosts a colourful market, which runs along the Argentina promenade (named after the famed Evita Peron who spent some time in Bordighera). With lots of goodies on offer including local cheeses and salamis, tasty fruit, nuts and vegetables and fresh flowers to new and second hand fashion, this is a fun stroll with the chance to bring home a lovely souvenir. For one night every year, usually in July, Bordighera holds La Notte Rosa (the pink night) where the whole town dresses in pink for a wonderful evening of music, artists, concerts and shopping. The town is very proud –and with good reason - of its well kept, manicured gardens, one of which is the Pallenca Exotic garden. Situated above a rocky, steep slope and immediately after the Cape Migliarese tunnel, this wonderful garden with its 3,200 species of plants together with some of the most impressive collection of cacti and succulents in the whole of Italy can be found. Henry Lowe, an affluent Englishman living in Bordighera in the late 19th century, donated his expansive gardens to the town in 1902 which are now enjoyed by all, and host concerts and festivals all year round, from rock to jazz to classical. Bordighera has a very picturesque harbour, from where you can take a boat trip along the coast www.sportshore.it/4/ Stopping at Calandre, a small but beautiful beach situated close to Ventimiglia and famed for its fine sand, and onwards across the border into France, past Menton and Cap Martin, with a view of the many celebrity villas along the way. Keeping up with the glamorous lifestyle, the boat berths in Monte Carlo for a short break before returning to Bordighera. Claude Monet painted one of his popular landscapes, ‘the old town framed by olive trees’ when he climbed up the hillside overlooking the city and where the two towers, Sapergo and The Mostaccini, had been built to “watch over suspicious boats” in the 17th century when the area was besieged by Saracen invasions. The recently renovated International Municipal Library, built in 1883 by Charles Bicknell, is worthy of a visit too. The Library holds approximately 85,000 books, at least a third of which are in English from the Victoria years, together with many magazines of art, local history and archaeology. The pines (a pineta) garden can be reached by a windy trail overlooking the sea and harbour and is a cool (figuratively and literally!) resting place among the trees. With a visit to the lively 14th century walled Old Town to indulge in a mouth-watering risotto made with the catch of the day and rounded off with a typical tasty Italian dessert, or to simply sip a cappuccino or an aperitif, rest your limbs and watch the world go by, you’ll understand why the French writer Stéphen Liégeard assures you that Bordighera "is a place which you can't not return to".